I just got a phone call from the big kids’ school telling me that I had to hurry down for some kind of emergency. In fact, it was such a huge emergency that, when they couldn’t get me by phone they called my gym and had one of the trainers come find me in barre class. I thought that someone was possibly trying a hostile takeover of the PTO or something. It was just Merlin again, and this time it wasn’t an award. He was in the office pitching a big fit about his clothes. I am sorry that I have been too busy being a supper mom to get the laundry done. Most lil’ boys would love to wear something that their Daddy wore as a child. He looks cute as a button. I have no idea why he made such a big deal about it! The school secretary said that even the kindergarteners were teasing him. Well, they need to teach those children a lesson on not bullying! They certainly were all over that when Starling might have said something the tiniest bit unkind about Fat Alice. They said no more leiderhosen. We’ll see. I don’t like being bossed around. 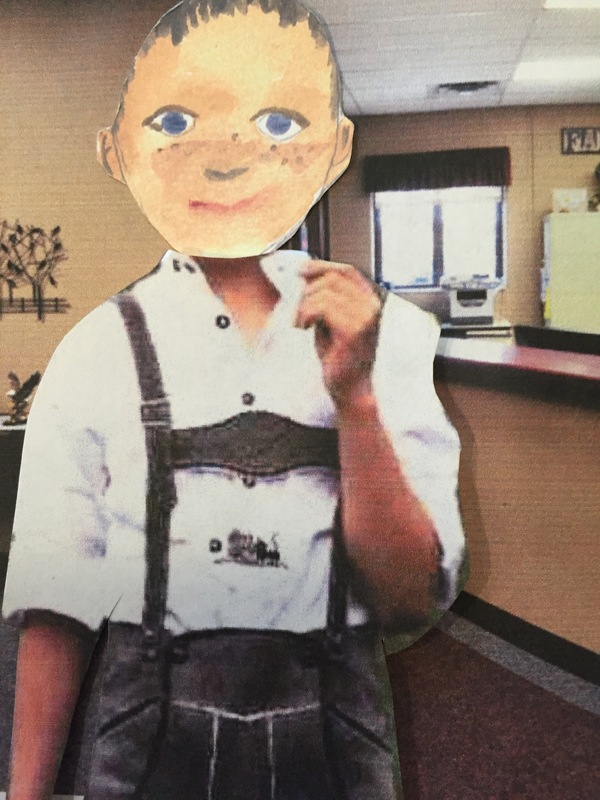 This entry was posted in School and tagged bullying., crybaby, leiderhosen, Merlin on October 29, 2015 by mythreeangles. I think you should punish him severely for letting his unhappiness show. Doesn’t he know that problems must stay within the family? He’s a bad boy to cause you to miss part of barre. It is so selfish of him to act this way. If he wants clean clothes he can rinse them out in his bathroom. Wish, Nelly! He is totes adorbs. You should remind them that we celebrate diversity. Those kindergarteners are learning to discriminate. Isn’t that like racism? It is worse than racism. You can drop your laundry at the laudromat or dry cleaners. Lifesaver for us supper moms lol!!! Maybe you could pick mine up and drop it off with yours. Would that work for you? Lah Lee, you are stretched to the max, under way too much stress. I thought of you when I read on another mommy’s blog that she has leased a little loft–her “dreamer space”–where she can enjoy quality me time and unwind with a her favorite wine away from her hubby and littles. I can’t even imagine being called to school because of a whining child. Doesn’t Merlin’s school have a resource officer to handle that sort of thing? My 9 year old uses the washing machine. I’m training her to wash her own clothes. Surely Merlin can learn? It’s extra important for boys to learn to help around the house! Seriously, hasn’t he won enough tee shirts to keep him in clothes for a while? Those harem pants go with any thing. Just don’t let him in the pictures those days.